Is Sony starting to feel the pressure from the Nintendo Switch? Well, a recent patent secured by the video game company certainly seems to suggest so. The Tokyo-based firm has secured a patent for an all-new DualShock 4 controller for the PS4 complete with a built-in touchscreen, reminiscent of the hybrid design of the Nintendo Switch. The latter uses its 6-inch touchscreen display to let players enjoy games on-the-go, while the bundled dock stand beams content to a HD TV. Initially filed back in October 2017 – that's seven months after the worldwide launch of the Nintendo Switch, for those counting – the patent seemingly describes the next iteration of the DualShock 4 controller for the Sony PlayStation 4. The controller described in the patent would purportedly replace the black touchpad in the centre of the DualShock 4 with a fully-fledged touchscreen. According to the legalese-filled document approved by the US Patent and Trademark Office, the touchscreen could be used to display various interactive functionalities that integrate with the video game title displayed on-screen. Outlining gesture controls for a user to trace with their finger is another possible interaction with the touchscreen that is highlighted in the US patent. Should this feature ever see the light of day with this generation of PlayStation – or the next, it seems highly-likely Sony would opt for a higher resolution display than rival Nintendo Switch, which uses a 720p touchscreen panel for mobile gameplay. PS4 games like Red Dead Redemption 2 already offer companion smartphone apps that provide additional information on missions, as well as world maps. As a result, it's easy to see how Sony could integrate similar functionality into a touchscreen display housed in the controller itself. 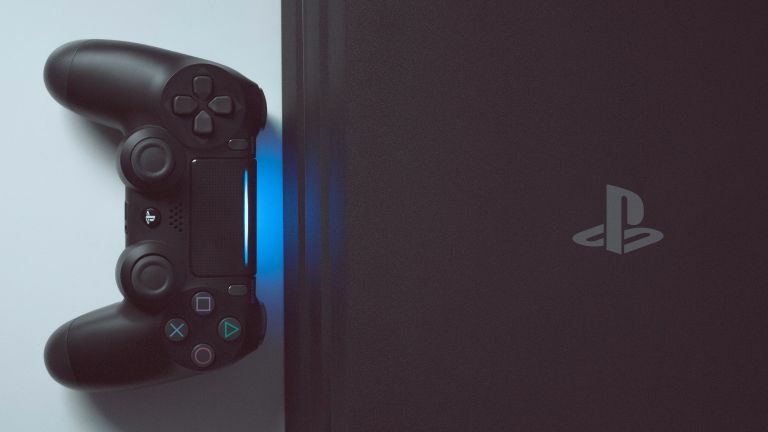 As always, it's worth noting that Sony patents a swathe of different technology and features that never make it into finished products, so this is no means a guarantee of what's to come for the Playstation 4. However, given the persistent rumours that the forthcoming PS5 will follow in the footsteps of the Nintendo Switch and offer some kind of portable solution that can be hooked-up to a big screen to perform dual duties as a home console, this patent is a very intriguing find. One thing is for certain, if this controller ever makes it into stores worldwide, expect it to be pricier than the current-generation wireless £49.99 ($59.99) DualShock 4.